I run a small research and development company in the area of consumer claims. We provide a highly detailed work environment and work to produce new claims types against new defendants. we have some very unique car claims which we have won. We would like to talk to you about what you are doing if you are open to a conversation? Yes I am open to a conversation please provide me with a name and a phone number and I will contact you. Has anybody successfully claimed any money back yet? I have submitted my claim today and am just curious as to whether there has been any progress? No this process will take time for the solicitors to assess, compile and get to court. As with any legal action this will take some time. So no claimants will have been compensated yet as this new car scandal in very new and I bought it to light only at the start of this year. The solicitor Harcus Sinclair have only very recently taken this case on. Can we liaise with Harcus Sinclair ourselves in this regard? Not heard anything yet, even just asking for further info would be nice. Yes you can contact them directly. Hello please could someone advised me on where to find 2.1 and 2.2 of the v5c so I can make sure Iam putting in the right info thank you . Yes please look at the example of the V5C DVLA document on the contact us page, you can see at the bottom the green arrow and the blanked out section, you can increase the size of that picture on you computer also to make the example easier to read. Just to be clear it is at the bottom of the front page of the V5C. Not sure how else to contact yourselves so sorry for putting it here. I’ve tried to submit but it sticks at “processing” then nothing happens. I’m not sure why it won’t complete I’ve had thousands of people submit their details, I can only suggest you try again. Sorry for the inconvenience, sorry if it still won’t go through, this might be a technical issue with servers or something else outside of my control. Hello, I have completed a used car scandal claim form a few weeks ago but haven’t received a confirmation or anything? Is this correct? Hi I don’t think it was a few weeks ago, as the first submissions I had to the site are from less that 10 days ago. Your claim along with many others will be assesses and the strengths and prospects of a successful claim in court will be assessed, upon which those with strong claims will be contacted. This is at a very early stage and as you can appreciate legal matters are never quick. Thanks, after I wrote that yesterday I noticed Time hadn’t gone as quick. I was just wondering if it had gone through as I hadn’t received an automated acknowledgment. Hi Everyone, was really interested when i came across this in the news. My car was registered on 31/10/2016. I then bought the car on the 16/2/17. My V5 log book states at z.1 that the previous owner was Arnold clark daily rental? this isn’t something that was pointed out to me as I assumed I was buying just a used car and not an ex-rental. The car then had a mileage on it of 3226. So i suppose my case is i didn’t know it was a rental? is this the main point of the site? Yes that’s pretty much it, having not been advised of this and ex-fleet / ex-pool, ex-business cars is what this campaign is about and letting them millions of people that this has been done to, know about it and make them aware of it and their right to submit details to have their claim assessed for compensation. Thanks. I just noticed my car was sold to me by the carshop and was owned by Lease Plan UK – this was a 1 person 2 year previous lease, but this was never mentioned to me nor is it in any paperwork. I have submitted my info. DO cars obtained on finance also cover this? Yes car obtained on finance are still covered, each person’s claim will be individually assessed so the more paperwork you have the better. Well I have it all – The problem I have is that Leaseplan who owned the car are sloppy and so the car was not serviced within Vauxhall’s command – thus my 100,000 8 year warranty is no longer valid – which means if the battery goes wrong I have a 5-6K bill! If I had been told it was ex lease I would not have purchased it – I drive them on a daily basis and know some of the ones I pick up are on their last legs! So I would like to know if I can give the care back. I have yet to tell anyone about my dismay, should I be telling the car company and/or the finance company? All I can do for now is pass your details on the law firm and they will take it from there, its sound to me like you have a good chance of getting compensated for this, what you chose to do with the seller is a choice you’ll have to make. At least registering your dissatisfaction with them and seeing what they come back with will show you tried to resolve it with them before you made a claim. Please keep copies of all of that correspondence with them as this will help you claim. Hi. I have submitted my details however I am wondering whether I qualify because I bought the car on finance (still paying this) and not out right. Also I got the car in May 2015. Is this too long ago to qualify for this? Many thanks. Hi This is not too long ago 2015 is fine as a submission. In relation to having bought it on finance this strengthens your case as you may have a claim for mis-sold finance too, and also having bought in on finance means your claim may be put against the finance company for the breach of mis-selling as well as or separately to a claim against the seller /dealer. I have submitted my details and delighted to have found this website. Are you able to advise how many more people are required before the case is handed over to a legal team for review? There nearly 4,000 people that have submitted their claims now, I expect that these will be passed to the law firm very soon for them to start assessing the claims and to issue proceeding to the numerous defendants (dealerships, traders and manufacturers). Many thanks for your answer. Am I correct in thinking that the law firm will get in touch with each individual if they issue proceedings? I have been fill in forms on 7th January but still no reply. My car is fiat 500x , 2006. First owner is avis budget uk Ltd. My car is on finance , bought in end of sept 2017. Thanks for your message, I have posted responses on the web-site’s blog, that it will take some time for claims to be assembled and contact to be made with each claimant, this is due to amount of work that needs to be done by the lawyers in order to establish who the defendant are, and whether it will be the seller or the manufacturer of the vehicle and how many claimants will be claiming against each defendant. This is not a quick process, so sorry for the delay, but please be assured that your case is in hand and will be considered. thanks for reply. I am worries about if they tried phone me but I cant answer call cos I am deaf. hopefully they contact me on email. The law firm will not have contacted you yet, but they will be made aware of your need for contact to be in writing, and any other adjustments you need. I am wondering how long it will take to receive a response onn the submitted forms, I understand it is a long process but an estimation would be great. I bought my car in 2016 and is on finance so am I correct in thinking I have two claims here?. Misold car and misold finance. My document shows enterprise to be the previous place and only one previous owner. Unfortunately the site no longer has the ad for my car however the dealership sent me an email with the details of the car and there is no mention of it being ex rental or any other previous owners. I have screenshot the email. I cannot say exactly when the law firm will be in touch, but it hope it will be soon one they have had time to compile the information submitted by the thousands of potential claimants. I sounds from what you say that the car was an ex-hire car which will have been driven by up to (50,000 people according to the AA or RAC), if this turns out to be so it is highly likely you have a strong case to be fought. Keep all documentation you can to assist with your case. Is there any other method of speeding the process up? Obviously there are a lot of mixed opinion about how this all works and I am a little sceptical as I’ve not received any confirmation or contact from anyone. As I’ve posted to other enquirers, sometime there is a problem with the automatic acknowledgement. Everyone’s details have now been pasted to a law firm. I will make another post soon letting everyone know who that is. As yet I have not got thier express consent to make this public, once I do have this from them I will make it known. I bought what turned out to be an ex Europcar hire car from my local Arnold Clark Motorstore at the end of 2015. I bought the car on finance & took out an extended warranty, thankfully, as I had a gearbox failure, which was diagnosed to be caused by a hole in the case. The repair company had never seen this on any previous car & were shocked, I was told the gearbox had run dry & this could have cost me over £2000. I was never told the car had been a hire car, nor shown the V5 or any paperwork by the salesman, but only discovered it was a hire car prior to my buying it, after I received the log book from the DVLA. I asked the dealer for the service book, which had gone missing & they gave me a new one, which showed no past history, so contacted Europcar to see if they could help. The best they could do was tell me that it had been one of their cars & they had no history since it was passed on to whom ever bought it from them. There’s no way I would have bought an ex hire car, so I’m hoping that this might be something that I can possibly make a claim for. Do you think I might have a chance? It sounds from what you say that the car was an ex-hire car which will have been driven by up to (50,000 people according to the AA or RAC), if this turns out to be so it is highly likely you have a strong case to be fought. Yours sounds like a strong case from what you have said, Keep all documentation you can to assist with your case. I have made a point of keeping everything, including any receipts for anything we’ve bought for the car, as I thought they would at least show that we’ve looked after the car. I’ll be sure to keep a regular eye on the site, for any updated information. I have your submission, don’t worry, your details will be passed to the solicitors today. There is a message above the contact form, sometimes there is a problem acknowledgements e-mails getting lost. Thanks, could you email me with a confirmation of some kind? I commented on here yesterday as I was recently mis-sold a car by bmw and having just checked a copy of the log book of the car that I just traded in, that car also appears to have been mis-sold to me as it was previously owned by BMW contract hire, again I was not informed of this at the time of purchase back in 2016. Do I potentially have 2 claims here? Yes I would say you do potentially have 2 claims, your details will be pasted to the solicitors and they will be in touch in due course. I appreciate that this isn’t going to be a quick process, but what is the situation if you have to sell the car that you are making a claim against before any legal process has taken place? If you need to sell the car thats fine keep a copy of all documentation you have and the original advert if you have it. You will still be able to make a claim after you sold the car, subject to al the same other necessities that will be required for any other claimant to prove their case. I bought a car in 2011, by then it was 3 years old, something that I still own. I checked the V5C document now and the previous keeper appears to be a Fleet company. Your website says that the vehicle should be between 6 months and 2 years for the claim to be potentially successful. Does it mean that I am ineligible to make a claim just on that ground? Not it doesn’t necessarily mean your ineligible, please submit you details on the contact us form, and you claim will still be considered. Hi, I have submitted a claim form with you but my question is the v5c shows one previous owner named as ‘martin haynes’ iv’e recently found out that the car iv’e purchased is an ex driving school vehicle which i was not informed by the dealer or isn’t reflected on the log book, is there grounds for a claim here? Yes it sounds like you have a good claim. The solicitors will be in touch with you soon. I submitted details some time ago but we have had nothing back. Is that correct or should we have heard something? Bought a car from main ford dealer sold as one owner, turned out it was their pool car and only found that out when the log book arrived! Your details have been passed over to the law firm (along with thousands of others) that will be dealing with it, they are working their way through all of these and will be in touch in due course. Thanks Ashley. Genuinely gutted when we realised the status of the car. Do you have any idea how long it will take for someone to contact me and if so do you know the law firm dealing with this ? It will take as long as it does for them to compile all protective claims, for them to then get in touch with everyone. Hi, husband and I bought a car in December 2012. All transactions were done via the seller. I have just checked the V5C and found that there were two previous owners. BUT, the previous registered owner was ERAC UK (LTD). Checked Company’s house to find that the company has been dissolved so searched the company number 046103 that company is Enterprise Rent-A-Car and active. The car was first registered on 31/03/2010 but was then acquired by ERAC UK(LTD) on 01/01/2011. The timescale seems odd for a rental company. The car is in my garage as I have been unable to drive it for almost 3 years due to the immobiliser coming on intermittently. Despite going to Vauxhall dealers the fault can not be discovered and there is no code showing the fault. I would agree that does seem strange rental car companies such as Enterprise take car when they are new from manufacturers not when the are already used cars. Please submit your details and the solicitors will assess your claim. I have submitted my details however I am wondering whether I qualify as I purchased my car in 2008. I specifically asked the salesman and sales manager if the car was an ex-rental or ex-lease hire and was assured it was not. However when I received the V5 and the garage I purchased it from was shown as the last keeper I was suspicious and obtained the Keeper history from DVLA. I discovered the first keeper was Enterprise rent-a-car. I no longer have the car but still have all the paper work. I does appear from what you have said that you were mis-sold the car. Not having the car still is not a problem, but it will be for the solicitors to decide if they will run claims going back that far. I will pass your submission on to them and the will make that decision. I filled out a form maybe a month ago now, I haven’t received a reply or response of any kind. After checking my V5 I’ve discovered my car is an ex rental. There’s no questioning that. Some kind of acknowledgement and any further information would be appreciated. Thanks. Thanks for submitting your form, we have you information, and it is being processed. It will take some time due to the amount of respondents we have to this new group action. The firm law firm that are dealing this I can now officially reveal are Harcus Sinclair. They are going through the thousands of peoples details, and are starting to contact them. You should hear from them soon. Then please submit the details of that car too and it will be assessed. Yes they have all been received and pasted on to Harcus Sinclair the law firm, they will be in touch in due course. The law firm will be in touch with everyone that has submitted their details soon, there are close to 5,000 submissions so I hope you will understand this may take some time for them to assess them all and make contact. How do you prove how an ex rent a car can be mis sold ? is it basically the garage vs the customer in a word vs word argument ? Surely you would need evidence that its been mis sold and I cant see how its possible to do this ? Customer says I wasn’t told it was an ex rent a car, garage says we did tell them. it surely wouldn’t go any further with no evidence ? 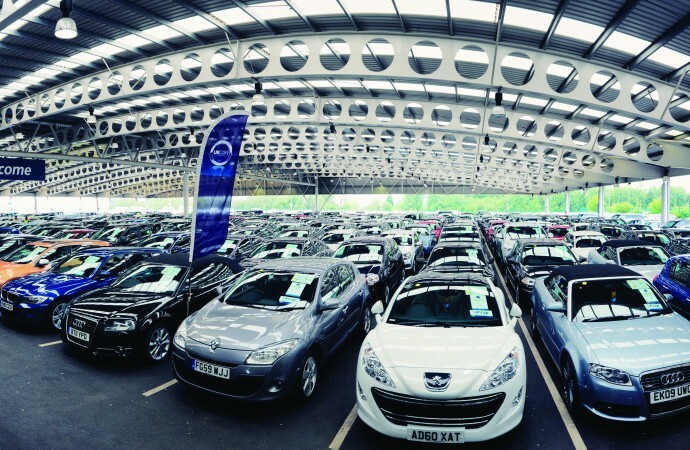 The dealers and manufacturers are expected to conduct and keep evidence of the sale and pre-sales advise given, this is known as conducting due diligence. This is confirmed by the article on the related press articles and rulings on my site see https://www.trusteddealers.co.uk/nfda/issue-39-2017/consumer-protection-regulations-2/ This advice was written by Motor Industry Legal Service, legal advisors to the motor industry. It does not then merely come down to the consumers word against the dealers word. Furthermore this was reflected in the ASA ruling where the dealer used the defence that they were not supplied with the information from Fiat Chrysler, However the ASA concluded that the information that was later supplied to the ASA by Fiat Chrysler was easily available to the dealer which was an approved Alfa Romeo dealer and therefore affiliated with Fiat Chrysler. Doesn’t really answer my question though, as a car salesman our company has a policy of informing a customer who was the last owners on the logbook and even showing the customer the v5. We have had a few customers since this lease hire car (Scandal) has happened claiming they were never told who the owner was despite the fact we show customers and even have a tick on our order form to confirm they have seen this. yet lots are still trying to claim ? despite being told. their claims haven’t been rejected yet so I cant see what further more we can do to combat this. not all of us in this industry are liars and we run a fair business and explain everything but even that it seems isn’t enough. Its good to hear that you are informing customers, Its not really for me to advise you of what measures to take, but purely as an observation, if you are informing customers and tick a box then if it were me I would get them to sign it. I guess however if the name on the V5C is ambiguous and it not until after the customer realises that name happens to be a lease company or hire car company, as some of the name of V5C’s are ERAC or Provincial Securities Ltd etc (which are actually Enterprise and Europcar) then i guess this may lease you open to customer saying they were not aware. I would think as a dealer you would probably know this or could have found out prior to you purchasing the car. Now I am not saying this is necessarily what has happened in you case. I have not said all in the industry are liars. No problem, I Appreciate you reply thank you. We’ve just bought a car from Car people and within the first few days of us driving it we had a problem with the breaks. Not had very good customer service either. We have found a no smoking sign with LEX auto lease printed on it and are now worried that it was a lease hire car. No mention at all from Car People. We thought it was 1 owner but might have been driven by hundreds of people, taken the shine off our new purchase. Wish I could take it back if i’m honest. Just waiting for the V5 document to come through. We’ve bought it on finance. Do you think we might be able to join you guys if it comes back it was a lease hire? Its sounds likely that it will have been an ex-hire or lease car, this is very common that they are holding the V5C forms until after the purchase is complete. Yes please submit you details to the contact page and the link to the form, if once you receive it it shows LEX. I took joint finance on the car with my wife. The system for putting through your claim with the legal firm isn’t working for her. I have submitted all the details on purchase etc. We use the link they have sent her and it just crashes when you go through the process. I have emailed them several times about this but had no reply. I will contact them now and get them to contact you and fix the problem. Hello this problem still remains. We will have to go elsewhere unless we hear back in the next week. Do you think there may be a cut off time for how far back claims can go? At the moment anyone can submit their details to have their case assessed. At some time in the future a cut off point will come when claims are to old or have exceeded the limitation period, but that is not yet. As I say each claim will be assessed and its strengths and weaknesses weighed, obviously a claim from may years ago will weakened any case as the question will always arise as to why it was’t bought sooner. There is also a distinction between cases that arose before October 2014 when the Consumer Protection regulations were amended and strengthened on the part of effected consumers, given stronger redress to effected consumers over that of effected consumers prior tot he amendments. However there are still remedies available to to those that were effected prior to that. Determining that is the work of the solicitors in this case which are Harcus Sinclair. So please submit your claim details via the contact page of this website and they will assess your claim. Can garage companies ‘time bar’ using the ‘6 year’ rule? This will depend on they way the claims are bought from case to case, an alternative would be to use the 1 year from date of knowledge limitation, but these are questions for Harcus Sinclair (Please direct any questions to them either by email on usedcarlitigation@harcus-sinclair.co.uk or by calling 020 7539 2905) the solicitors dealing with the claims that I have partnered with, so please contact them for a definitive answer regarding your own personal claim.